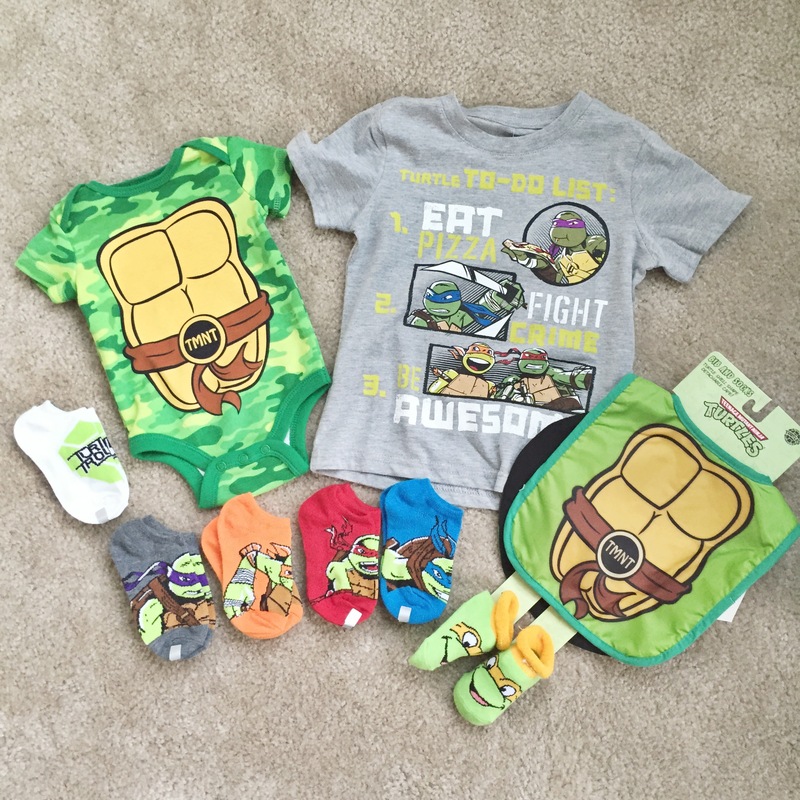 Heroes in a Half Shell…Baby Power! I’m an 80’s kid. So naturally I was obsessed (understatement) with Teenage Mutant Ninja Turtles and still am. When I saw these items in the store, I had to buy them. In fact, the bib and Michelangelo socks were the first thing that I ever bought my future baby. This lead me to look back and think about all of the TMNT gear and toys that I had growing up and I couldn’t help but wonder what cartoon my kid will be into. Whatever it is, I know I will watch it too and have fun with it just like my parents did. Until then… COWABUNGA LITTLE DUDE!